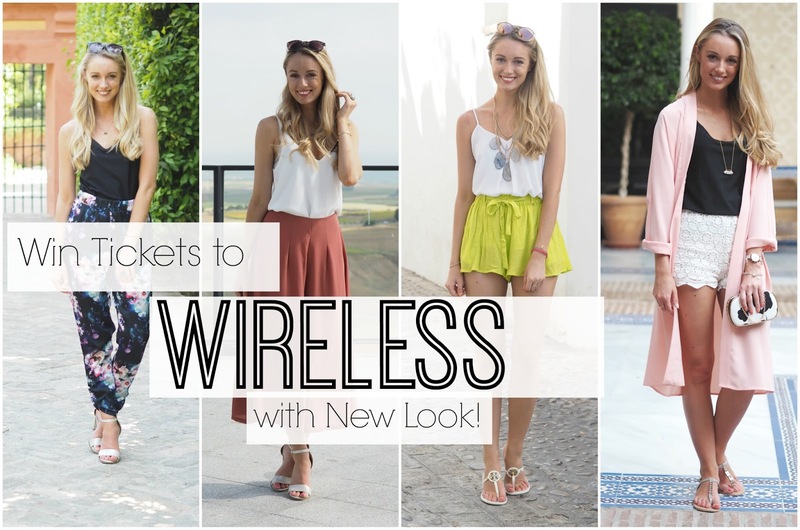 Win Tickets to Wireless Festival with New Look! Hands up who else’s Instagram feed was filled up with fashionable festival snaps yesterday from the New Look Wireless festival?! Mine most definitely was! And if all of those pictures have got you in the festival mood then you are in luck because New Look have kindly given me a pair of tickets to Wireless Festival on Saturday 4th July to give away to one of you guys! Don’t forget to register your tweet in the Rafflecopter below, as well as getting some extra points with the additional tasks for more chances to win! You can tweet the message every day between now and Thursday at midnight, to increase your chances of winning. The competition closes at midnight on Thursday 2nd July, and the winner will be contacted on Friday morning. Watch my Outfit Diaries Video here to choose your favourite New Look piece! For bonus points, you can share the Facebook post about the competition from the Fashion Mumblr Facebook page here.